a complimentary 3-part online webinar/mentoring program! 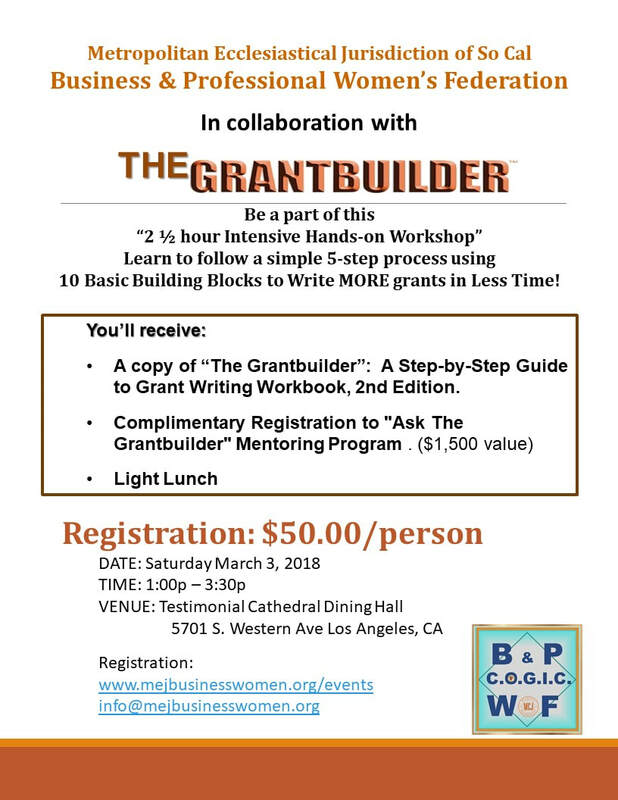 If you have purchased a copy of The Grantbuilder Workbook, you can request approval to register for a complimentary 3-part session of the Ask The Grantbuilder Mentoring Program . Each session is 1.5 hours and is conducted via live webinar. ​More dates and locations to be added soon!